Showing results by author "Alan Goldsher"
Kevin Pollak rose through the comedy club ranks at the feet of Don Rickles and Bill Cosby, Johnny Carson, and George Carlin. Named one of Comedy Central’s Top 100 Stand-Up Comedians of All Time, he’s a killer impressionist — Falk, Shatner, Walken, Nicholson — a versatile actor with one of the most respected filmographies around, and an Internet pioneer. He’s done it all, and now he’s ready to spill the beans. Turns out I'm a fan...who knew?! Ladies and gentlemen, it’s time to really meet the Beatles. 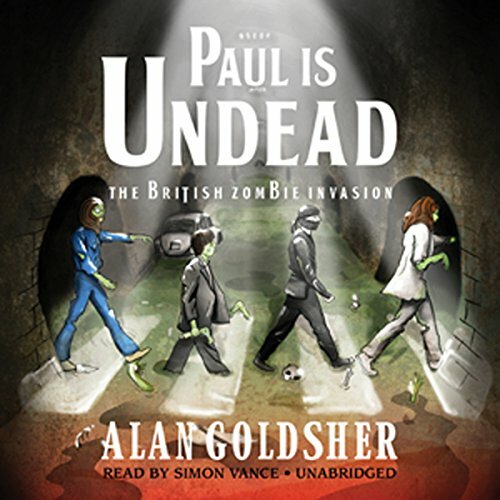 This is a delightfully gory retelling of the Beatles’ U.S. tour that reimagines the Liverpool foursome as bloodthirsty zombies who take over the world…literally!